A screen capture from the “Under the Radar Michigan” episode. Now in its second season, the 30-minute “Under the Radar Michigan” episodes air on public television stations across the state and feature weekly episodes to connect people to their home state. Find out when the full episode airs here, or watch it on the Under the Radar Michigan website. Blue Cross Blue Shield of Michigan is pleased to collaborate with its four Live Downtown partners (Compuware, Quicken Loans, Strategic Staffing Solutions and DTE Energy) to bring the first Live Downtown Games to life in downtown Detroit. The daily events, which celebrate the July 25, 2012 one-year anniversary of the Live Downtown program, will be a central point of discussion when Blues personalities take to the local airwaves in July. Listen for Keith’s appearance when the show airs at 7 p.m. Friday, July 20, or visit the Destination 313 website for a podcast version after the show airs. Joining the Blues on the Radio this month is guest Kevin Klobucar, president and CEO of Blue Care Network. Kevin chats with Johnny Burke of WHNN-FM in Saginaw and Stephanie McCoy of WITL-FM in Lansing about Healthy Blue Xtras, BCN’s new HMO Health Savings Account plan, and how the Blues work with the best hospitals and doctors in Michigan to enhance the quality of health care, reduce costs and improve health outcomes. Andrew Hetzel, BCBSM’s vice president of Corporate Communications, joins play-by-play caller Dan Dickerson each Sunday throughout the month on the Detroit Tigers Radio Network. This month Hetzel discusses UV safety, the BCN HMO HSA plan, Keep Fit, a new individual plan from BCBSM, and more. 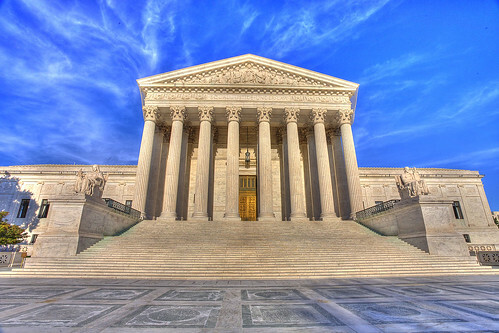 Many observers were caught by surprise when the U.S. Supreme Court decided to uphold the entire Patient Protection and Affordable Care Act — including the controversial individual mandate requiring all Americans to obtain health insurance. But at the Michigan Blues, we’re moving full steam ahead with plans to ensure we are compliant and ready for health care reform. In many ways, we’ve had the shortest distance to travel to become compliant with the law. For example, unlike most insurers, we already guarantee coverage to anyone who needs it and we’ve long practiced community rating which means we do not use health status to determine a premium rate. We also already exceed a new government requirement that says insurers must spend 80 cents of each premium dollar on medical expenses. These are just some of the ways we were ready for change. BCBSM also has been preparing vigorously in other areas from the day President Obama signed the law in 2010. We’ve created a new business unit devoted entirely to preparing our company, customers and stakeholders for the many changes ahead. We’re also advising federal and state policymakers on how to create state insurance exchanges with consistent regulations to best serve consumers. We’re taking several steps to help Michiganders be prepared for the law, including finding ways to make insurance more affordable for those who aren’t covered, and helping the uninsured understand how subsidies or rules that will expand Medicaid eligibility could help them purchase insurance on the exchange. Whether you’re an individual consumer, a senior citizen, sales agent, employer or doctor, you can find more information about how health reform affects you at bcbsm.com/healthreform. Daniel J. Loepp is president and chief executive officer of Blue Cross Blue Shield of Michigan. James Forrer receives a donation for his charity, Helping Angels, from Bridget Hurd, director of Community Responsibility at BCBSM. Larry Emig of Reed City and James Forrer of Troy were recognized Wednesday at Older Michiganian’s Day at the State Capitol in Lansing for their dedication to improving the lives of the elderly. Blue Cross Blue Shield of Michigan’s Senior Advisory Council honored the outstanding senior citizen advocates with the Claude Pepper Award, named after the late U.S. Congressman who championed senior citizens’ rights. BCBSM has given the Claude Pepper Award annually since 1980. Recipients demonstrate a strong concern for the special needs of the elderly, and their actions profoundly impact older adults, particularly individuals who do not receive adequate health services due to mental, physical, financial or geographical limitations. Emig, 66, has served on the Osceola Commission on Aging Advisory Board for more than 26 years, helping oversee in-home care, transportation and nutrition services for hundreds of seniors in Osceola County. The former mayor of Reed City has served in leadership roles for several organizations at the local, regional and state levels, including a recent appointment by Gov. Rick Snyder to the Michigan Commission of Juvenile Justice. He has also served on the Area Agency on Aging of Western Michigan’s Board of Directors since 2006, helping oversee the agency and services to over 38,000 seniors in a nine-county region. Residents of West Michigan will get a chance to see the hit play “Ernie,” celebrating the life of legendary Detroit Tigers broadcaster Ernie Harwell, when it makes a two-week run in September as a special fundraiser at the Wealthy Theatre in Grand Rapids. The play, by noted sportswriter, radio host and bestselling author Mitch Albom, will run for 12 performances Sept. 12-23. Proceeds benefit Hospice of Michigan’s Open Access Program, which provides care to people living with a terminal illness and need help, regardless of age, diagnosis or ability to pay. Blue Care Network is signing on as presenting sponsor for the play as it makes its West Michigan debut, continuing the Blues’ long-running support for the play. “Ernie” made its world debut at Detroit’s City Theater in June 2011 and is currently enjoying an encore presentation that wraps up July 29, with BCBSM once again as presenting sponsor. After he retired from broadcasting, Harwell served as a walking advocate and spokesman for the Blues. He died in 2010 at age 92. For more information about the play, visit Mitch Albom’s website, or read the news release. Ticket information will be available at Hospice of Michigan’s website. Ken Dallafior, Senior Vice President of Group Business and Corporate Marketing at Blue Cross, talks about how he and Detroit Lions quarterback Matthew Stafford have been hard at work on the Men of Michigan Health Challenge. Dr. Ray Littleton, of Henry Ford Hospital, speaks about his involvement with the “Man Up! For Better Health” initiative. Marshall Booker, deacon of Messiah Baptist Church, and Cle Jackson, Blue Cross’s senior community liaison in West Michigan, discuss the annual “Real Men Can Cook” competition and how it’s proving that real men can cook healthy. Andrew Hetzel, BCBSM’s vice president of Corporate Communications, joins play-by-play caller Dan Dickerson each Sunday throughout the month on the Detroit Tigers Radio Network. This month Hetzel discusses childhood obesity, Healthy Blue Xtras and more. You can listen to Hetzel’s 3-minute segment with Dickerson on what the Blues are doing to combat childhood obesity here. Jeff Connolly, president for West Michigan Operations and Managed Care for BCBSM, appears each Monday around 6:30 a.m. on WTCM. On June 18, he discusses Blue Care Network’s recent expansion in the Upper Peninsula, while summer savings members can realize through the Healthy Blue Xtras program are the focus June 25. Connolly continues his regular appearances with WOOD-AM host Steve Kelly each Tuesday throughout June. Connolly and Kelly will discuss Men’s Health Week on June 12 and the Blues’ cardiovascular consortium partnership with Michigan hospitals June 19. The completion this week of our BLUnite project, which unifies 6,400 employees in our expanded downtown Detroit campus, was about many things: It puts an exclamation point on Blue Cross’ commitment to this city for the long term, and we realize a host of new real estate cost savings, operational efficiencies and other improvements. And after all the hard work by employees and the crews who made it happen, it’s a great reason to celebrate. But as Tom Walsh points out in a Wednesday column in the Detroit Free Press, there is an element to this story that’s all too easily overlooked. Thousands of Blues employees gathered for a lunchtime celebration Wednesday, enjoying the sounds of the Detroit Academy of Arts and Sciences choir, with many forming dance trains to the booming music from a DJ. Mayor Dave Bing and I spoke about how our project, along with similar moves from other companies, underlined the positive momentum under way in the city and helped form a “strong mass” of businesses in the city’s core. This new, positive momentum is a stunning reversal from where we were just a few short years ago. In 2009, when the auto industry was staggered by a weak economy, the very survival of our city, region and the American auto industry was in question. The auto industry affects all Michiganders either directly or indirectly, so everyone in Michigan – southeast Michigan in particular – would be affected by the outcome. By mid-2010, as Tom Walsh writes in his column, GM decided against relocating its corporate headquarters out of the Renaissance Center. But it still had an issue with empty real estate in Towers 500 and 600. Today marks nearly two years after we announced our plan to bring employees from the suburbs to the Renaissance Center. Today, the RenCen’s occupancy rate is 93 percent, highest in its history. The RenCen, which has long served as an icon, representing Detroit to the nation, is literally full of life. And the auto industry is back on track, too. The same can be said for downtown Detroit. Blue Cross is proud to join a growing list of companies that are putting stakes in the ground and betting on the city’s future. 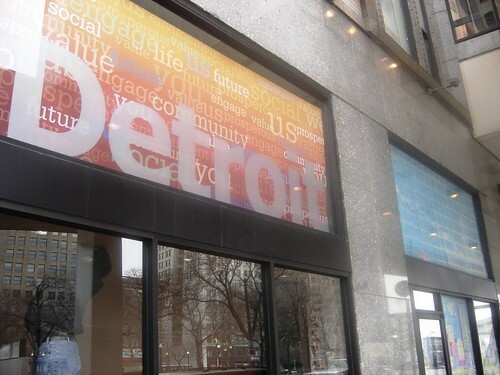 We’re proud to be home in the D. And I’m proud to say, Detroit is open for business. Take a look at photos from our BLUnite celebration below. How has social media changed the conversation about Detroit? When people talked about Michigan, the conversation use to be about the lifestyle advantages the state possesses. From thousands of miles of shoreline to enjoy in the summer to an abundance of places to downhill ski within a few hours of the Michigan town you call home; outdoor enthusiasts have long enjoyed our state. For too long, conversations about the advantages of our state stopped after touting these qualities. Recently, Michigan’s big cities have been making a case for inclusion in those conversations. Traverse City was recently named as one of the top ten places in America to retire. If you are looking for a great place to raise a family, Forbes Magazine says Grand Rapids needs to be on your short list. National media says that Ann Arbor is a great place to find a job and Kalamazoo is a great place to find a beer. And Detroit is becoming a media darling too. Time magazine bought a house a few years ago and spent one year living in and reporting on the city. The New York Times has discovered plenty of reasons to stop flying over Detroit and start spending time here. So has National Geographic. Popular blogs like Curbed and Huffington Post have set up shop in the city. Local media has bought in too, as demonstrated by the focused coverage by WXYZ in their Detroit 2020 series, WJBK in their Redefining Detroit series and WDIV in their Heart of Detroit series. Many would argue that the two daily newspapers in the city, the Detroit Free Press and Detroit News are finally presenting a more complete picture of Detroit. And radio shows like The Craig Fahle Show are shining light on the many good things happening in the Motor City. A recent front page story in The New York Times about nationwide efforts to trim hospital costs highlights news coverage of BCBSM’s efforts to improve patient safety and health care quality through its partnerships with Michigan hospitals. In April, the Blues announced that four of its Collaborative Quality Initiatives with Michigan hospitals saved $232.8 million over three years. New York Times: In Michigan, for example, Blue Cross financed an effort to have the state’s major hospitals compare results in areas like bariatric or general surgery so that they could reduce infection rates and surgical complications. The insurer never sees data that identifies individual hospitals, and the hospitals meet regularly to discuss how they can learn from one another to improve care. “There’s basically a ‘leave your guns at the door’ attitude,” said Dr. Darrell Campbell, the chief medical officer for the University of Michigan Health System. The program’s benefits extend far beyond Blue Cross’s own customers, according to the insurer’s calculations. Only a third of the savings was attributable to patients it insured. Unlike previous attempts by insurers to reward individual hospitals for quality and efficiency, the program tries to help all hospitals improve. The earlier efforts, which focused on overly specific measures or reporting on individual hospitals, “tended to inspire providers to do the least necessary to achieve the incentive rather than the most to transform care,” said Dr. David Share, a senior executive at Blue Cross.